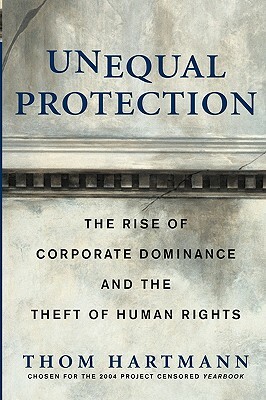 This new edition has been thoroughly updated and features Hartmann’s analysis of two recent Supreme Court cases, including Citizens United v. Federal Election Commission, which tossed out corporate campaign finance limits. Thom Hartmann is the nation’s leading progressive talk radio host, heard on over a hundred stations, as well as on XM and Sirius radio, and seen on live nationwide television via the Free Speech TV network. He is the bestselling author of eighteen books, including Threshold, Screwed, and Cracking the Code.